Keep bottled water in your vehicle for all living beings including pets. Before entering a vehicle that has parked in high temperatures, open the vehicle’s door and let the interior cool for a few minutes. A sun shield can be used to cover the windshield to minimize heat build-up and to help protect the automobile’s interior. 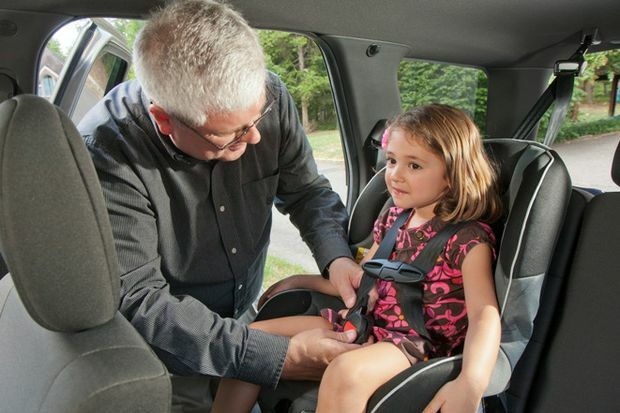 Cover metal and plastic parts on safety belts and child safety seats to prevent burns. A properly working air conditioning system will also help motorists keep their cool in summer heat. If needed, have the air conditioning serviced by a qualified technician, using the refrigerant R-12 in older systems or R-134A in new or modified air conditioners. Do not use non-approved substitute refrigerants. Always have a fully charged cell phone with you if possible in order to call for help if the vehicle breaks down.